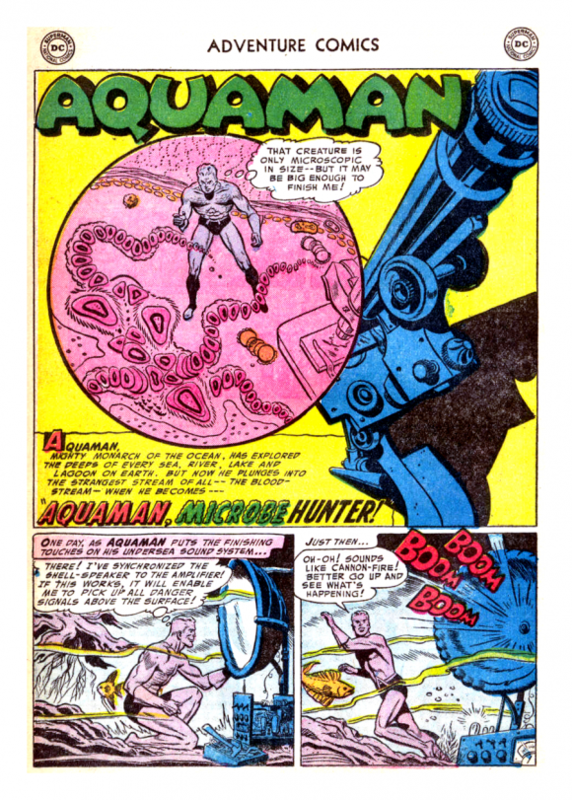 UPDATED 10/1/18: There is no bigger Aquafan than 13th Dimension contributor Rob Kelly — founder of the web’s preeminent Aquasite, the Aquaman Shrine (click here) and co-host of the Fire and Water Podcast (the Water being a reference to Aquaman — click here). 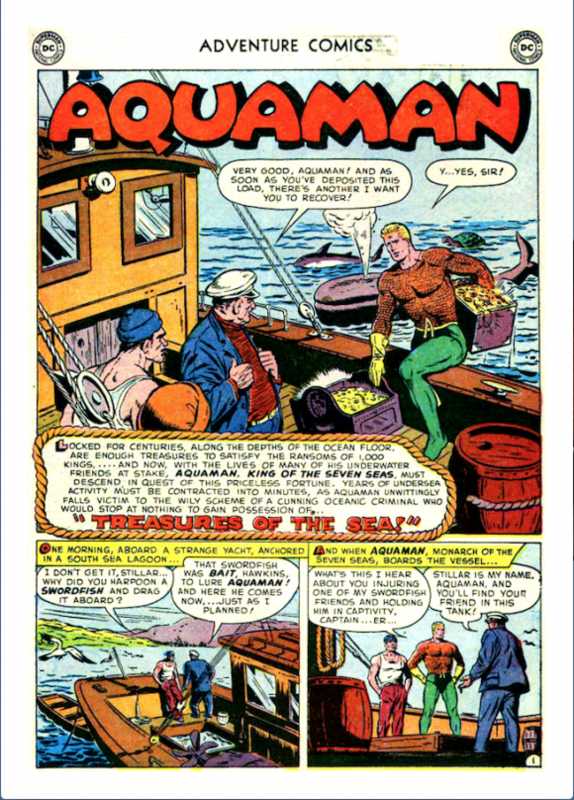 Aquaman is one of a tiny handful of superheroes who have been continually published since their debut in the Golden Age of comics. 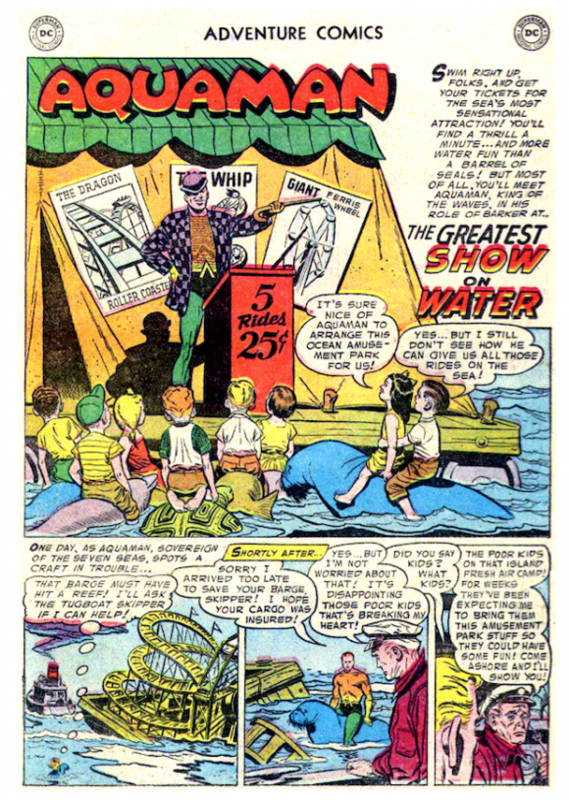 One of the main reasons the Sea King did not fade away like so many of his costumed compatriots is Ramona Fradon. 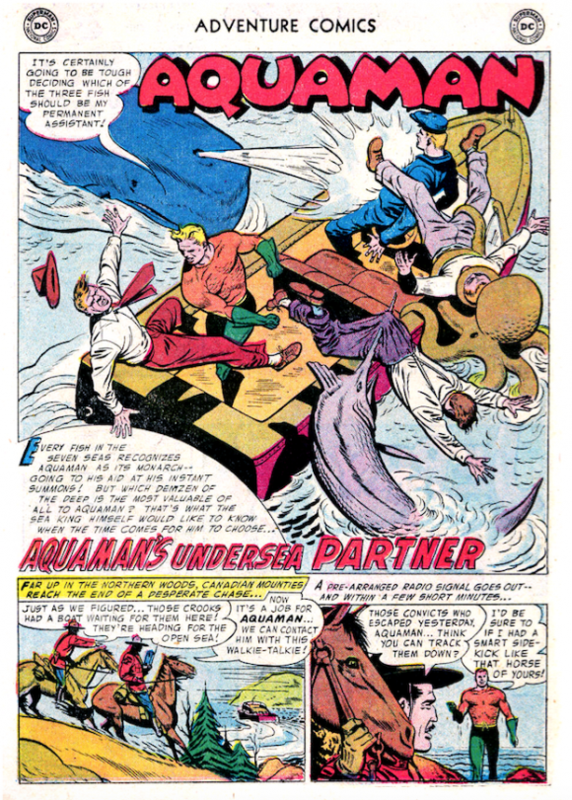 The legendary Ms. Fradon took over the Aquaman strip in Adventure Comics in 1951, from the able artistic (but now pretty much unknown) hands of John Daly. 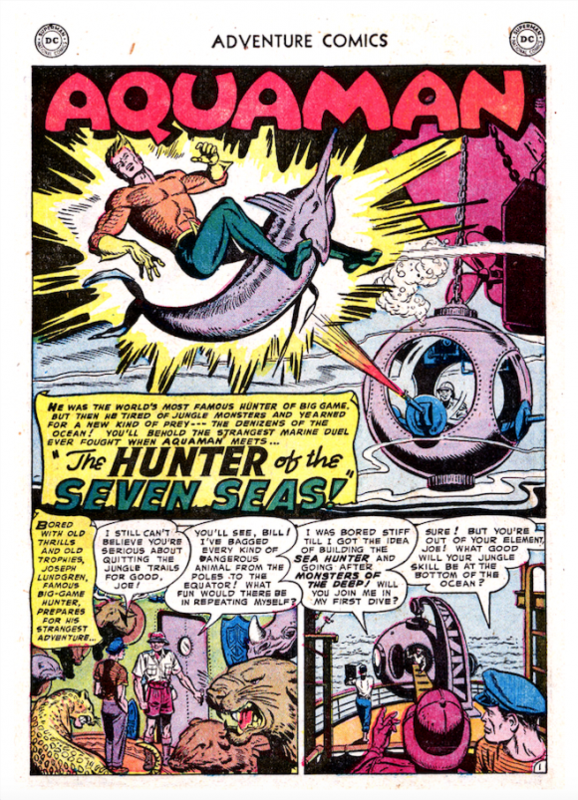 In an age where comic creators were rarely credited and meant to be interchangeable, it only took a few issues before readers could tell that this was a new era for the Aquatic Avenger. 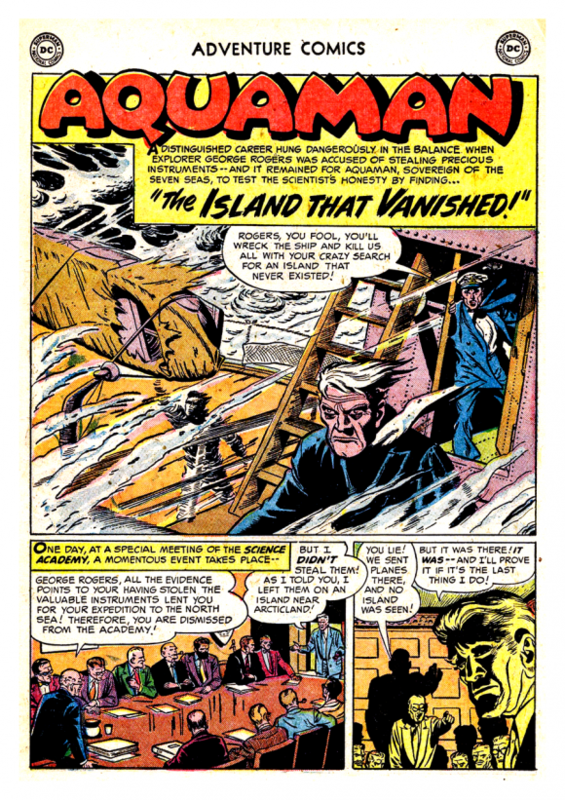 Aquaman looked sleeker, more dynamic, and at times seemed to burst out of the panel borders in the excitement of it all. 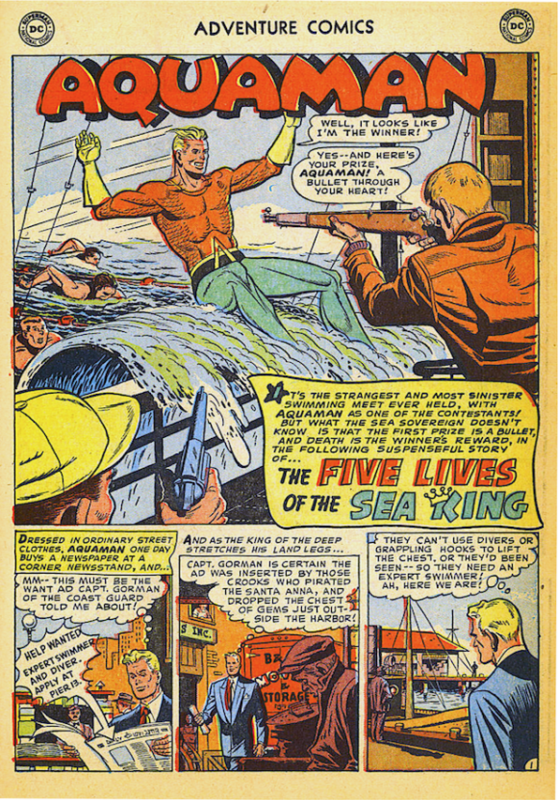 The 1950s Aquaman could handle any situation, no matter how outlandish — space aliens, being reduced to microscopic size, a shark with a human face. 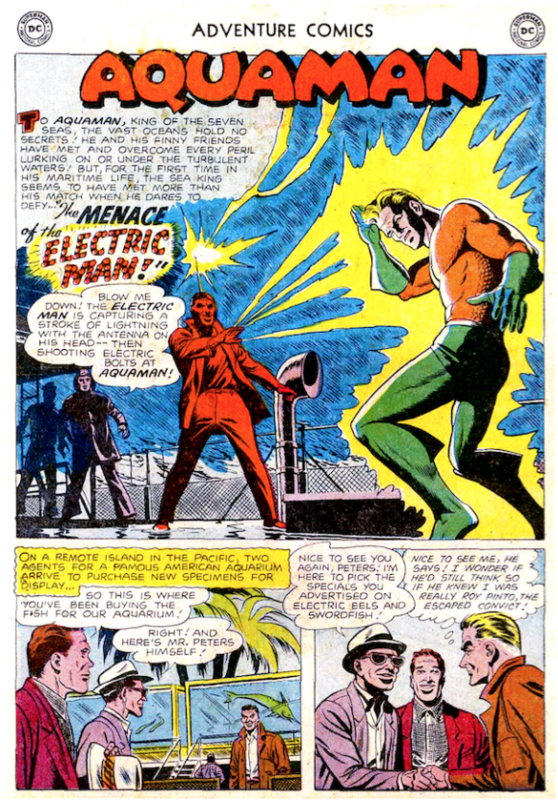 By the end of every story, our hero had solved the problem and was ready for the next adventure (literally and figuratively). 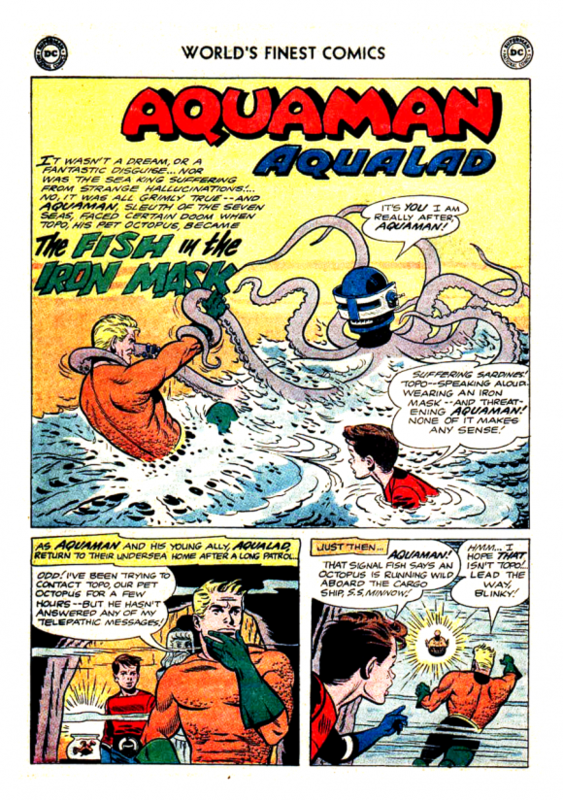 Fradon’s crisp line and keen sense of storytelling was so confident, so assured, that you couldn’t help get wrapped up in it all. 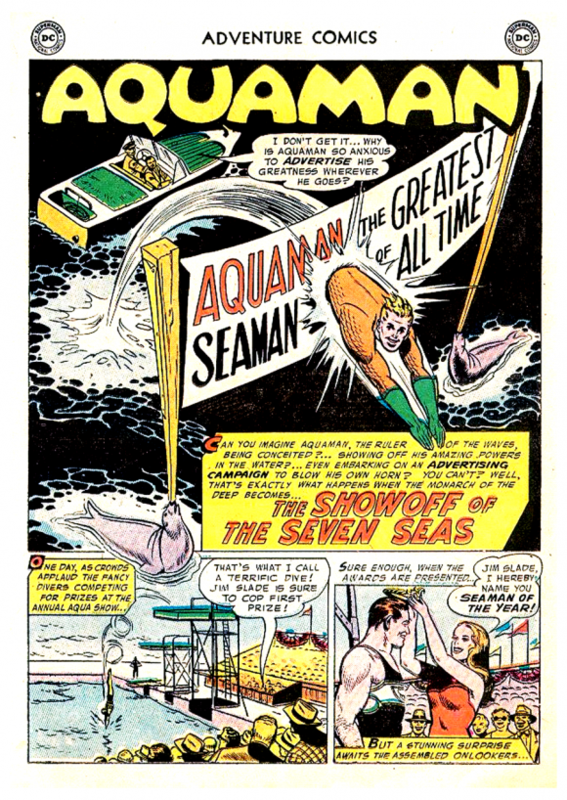 Comics readers kept coming back for more, and she would go on to draw the Aquaman strip, uninterrupted, for a full decade. 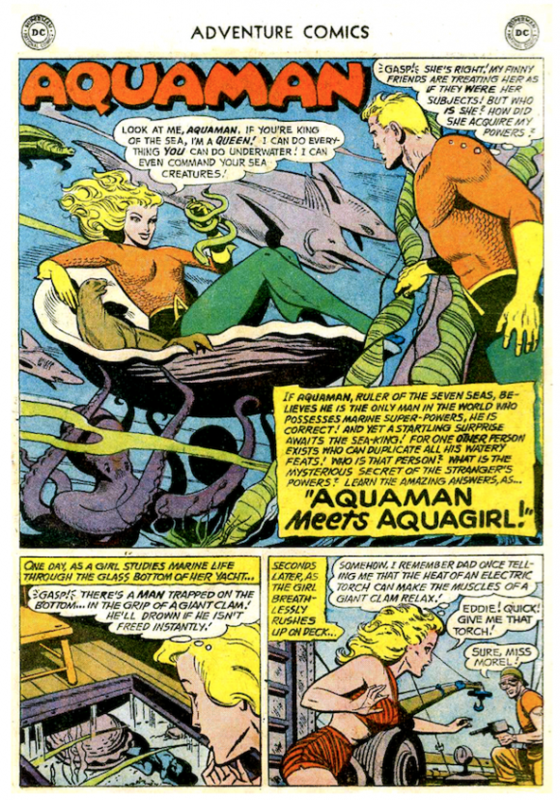 Ms. Fradon had artistic triumphs before and after her Aquaman run (including a second shot at the character in Super Friends in the ’70s), but as a die-hard fan of the character and her work, they are forever intertwined in my memory. 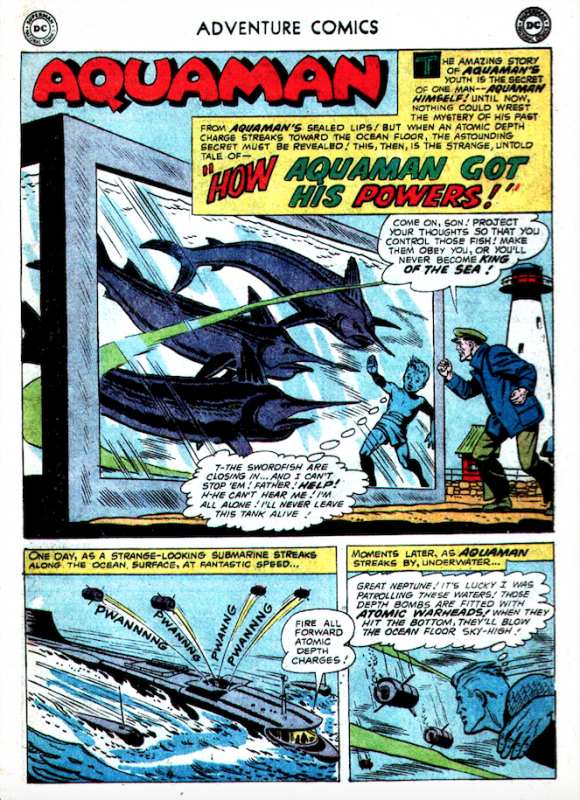 So to celebrate her birthday, here are 13 of my favorite Aquaman splash pages from Adventure Comics (OK, 12 from Adventure and one from World’s Finest) by the incomparable Ramona Fradon. Holy crap! 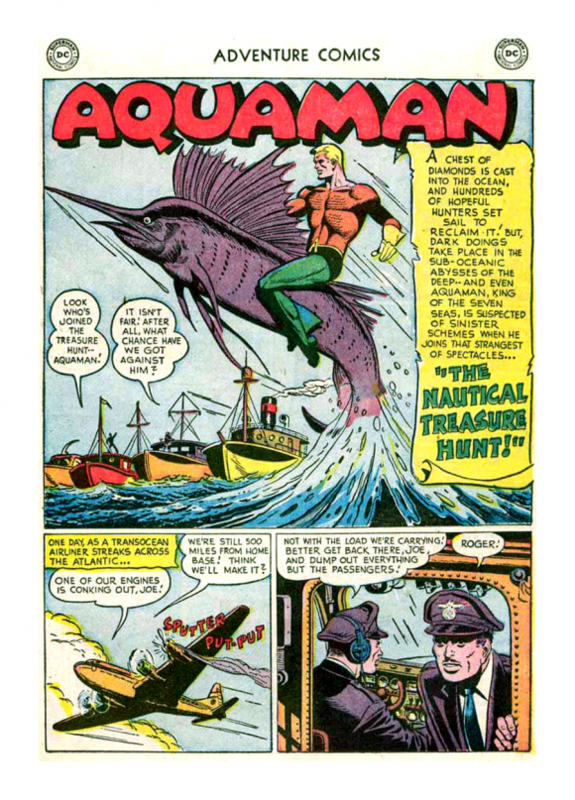 That art is fantastic! And the quality of these pictures are amazing! Where did you get these pictures from and where can I find some myself with this quality?